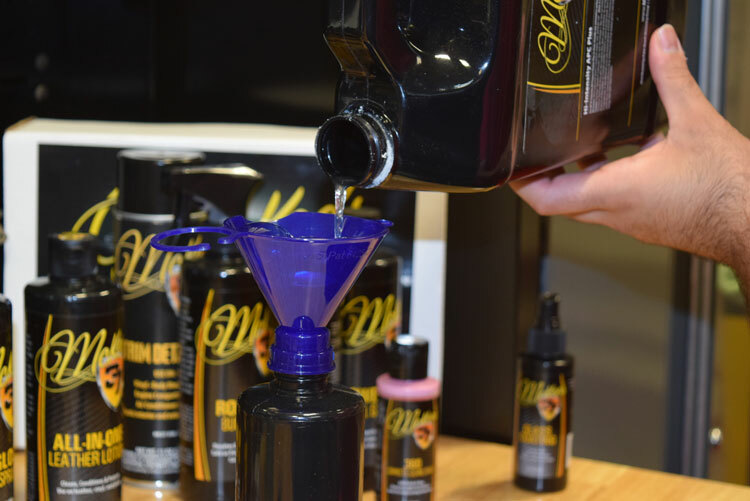 McKee’s 37 is well known as one of the best car care lines out there thanks to its highly effective formulas and budget-friendly price point. Once you find your favorites, you want to keep them on your shelf! Never run out of your favorite windshield washer treatment with the McKee’s 37 Engine Degreaser 144 oz. Refill Kit. It features a 16 ounce bottle, a 128 ounce refill bottle, convenient refill funnel, and 3 microfiber towels all at one incredibly low price! Keep your detailing shelf stocked with the McKee’s 37 Engine Degreaser 144 oz. Refill Kit. McKee’s 37 Engine Degreaser, 16 oz. + 128 oz. There's a reason you carefully selected a certain wax, sealant, or coating for your vehicle: longevity, ease of application, and the way it makes your paint look and feel. The last attribute is arguably the most important, which is why we developed a 4-in-1 rinseless wash and waterless wash that does not alter the unique look that your wax, sealant, or coating exhibits on your perfectly detailed vehicle. That product is McKee's 37 Engine Degreaser.